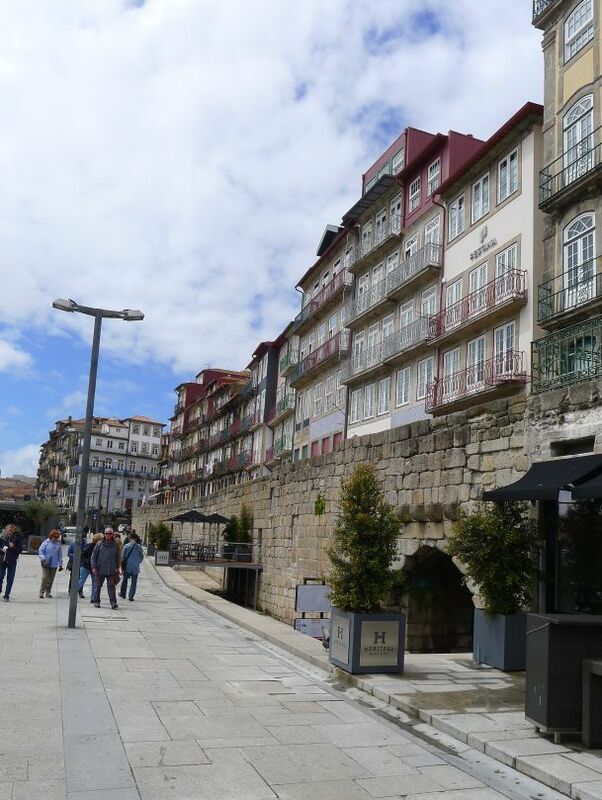 Porto located along the Douro river estuary is the second-largest city in Portugal, after Lisbon, and one of the major urban areas in Southwestern Europe. 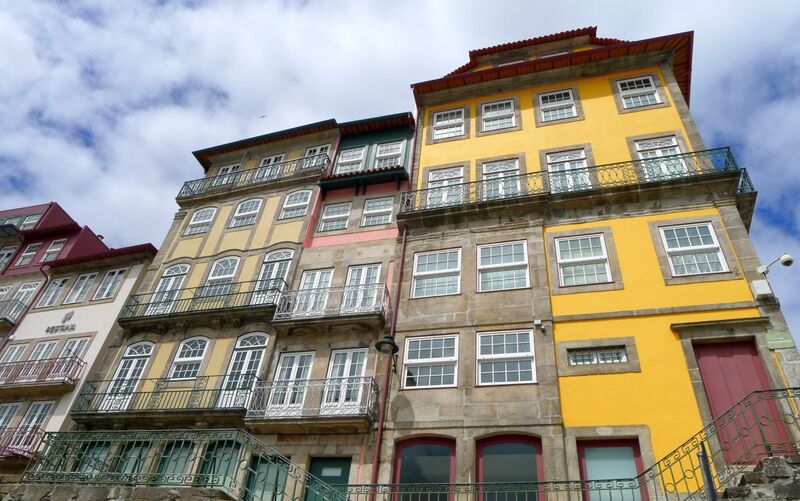 Porto is less polished than Lisbon, but it's also full of Old World Charm. Houses with red titles roofs tumble down the hills to the riverbank, mosaic patterned stones line streets, an flat bottomed boats called "Rabelos" ply the river. The old town was spared by the devastation of the great earthquake in 1755, and today is preserved as World Heritage Site. The city's name comes from the Romans, who dubbed the port town Portus Cale. When Porto's Christians conquered the Moors in the southern half of the country, the city's name became the name of the whole country. 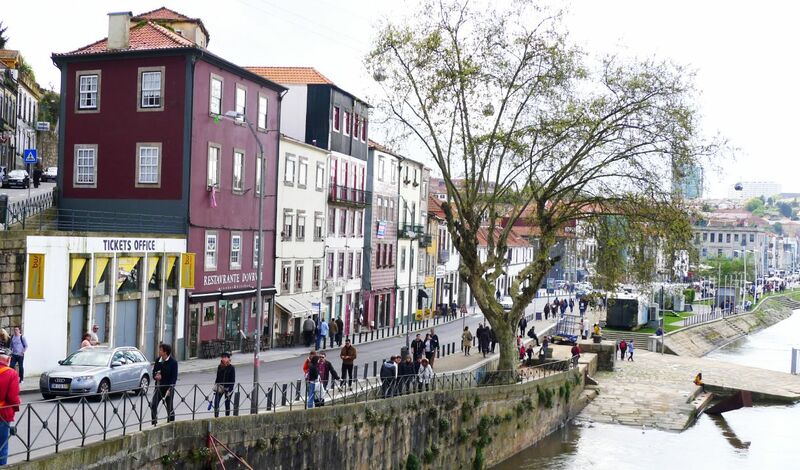 The British, who gave a long standing trading association with the city, refer to the town as "Oporto" a combination of two Portuguese words meanings "the port". 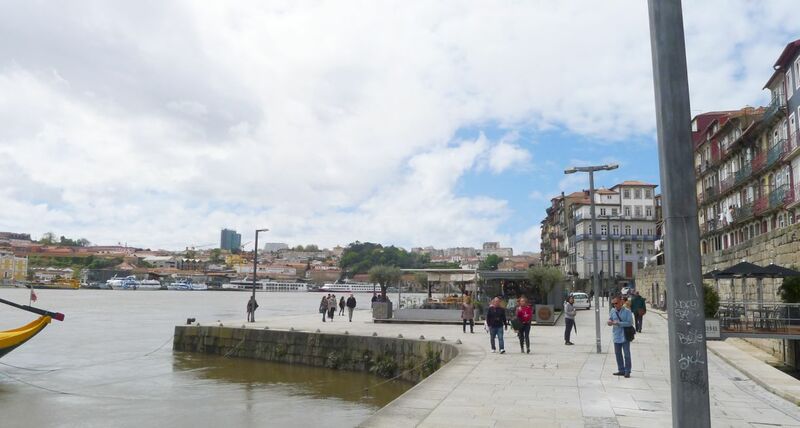 Placa de Ribeira (Riverbank in Portuguese), the main square facing the river, was long the city's front door, spreading alongside the Douro river and used to be a center of intense commercial and manufacturing activity since the Middle Ages. Now it is the city's most scenic and touristy quarter, with the highest concentration of restaurants and postcard racks. 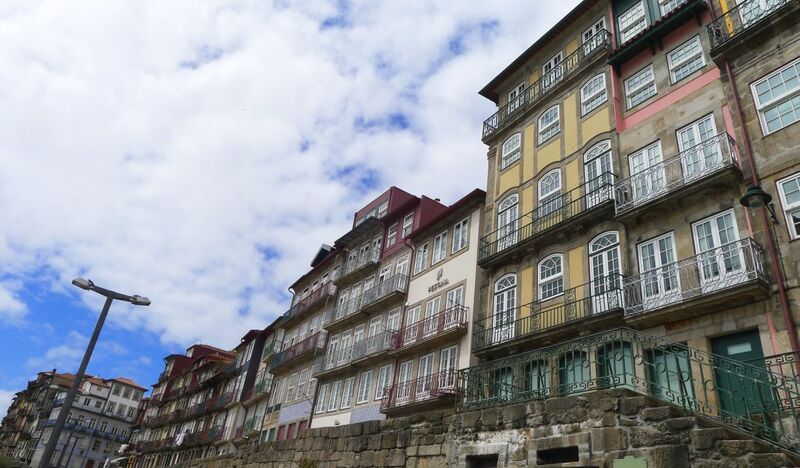 Colorful housing complex facing the Ribeira. Rabelo boat is a traditional Portuguese cargo boat that for centuries was used to transport people and goods along the Douro River. Rabelo boats are specific of the Porto region as its history is closely linked to the production and trade of port wine. 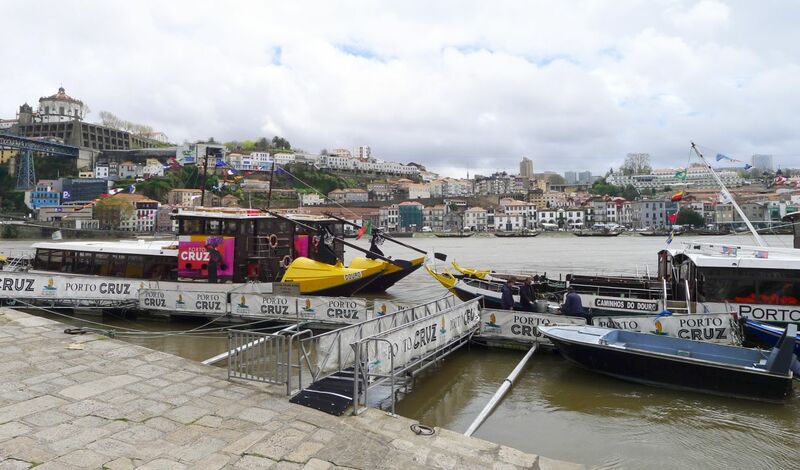 Before the arrival the railway, Rabelo boats were the fastest and the most efficient means of transport between the Douro Valley, where port wine is produced, and the city of Porto, where it was traded and exported worldwide. 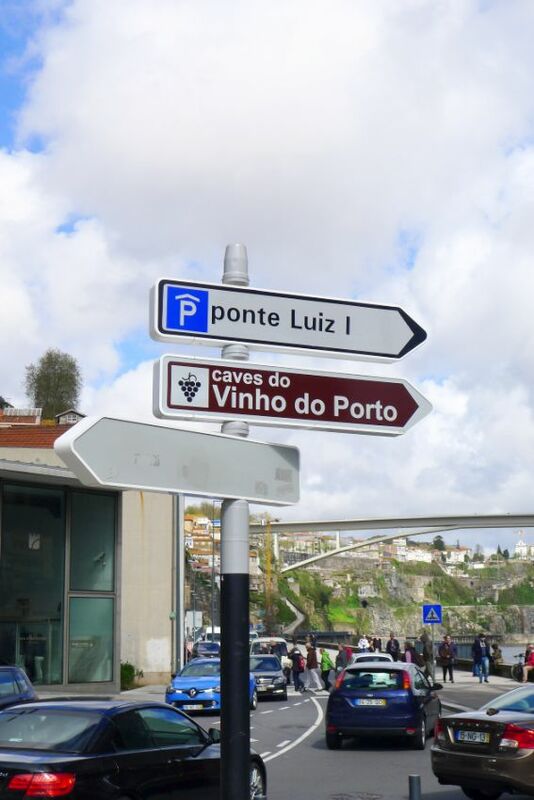 Although not in use anymore, still today the Douro River holds these vessels, belonging to port wine companies, in the cities of Porto and Gaia. Cruise boats are very popular with tourists. 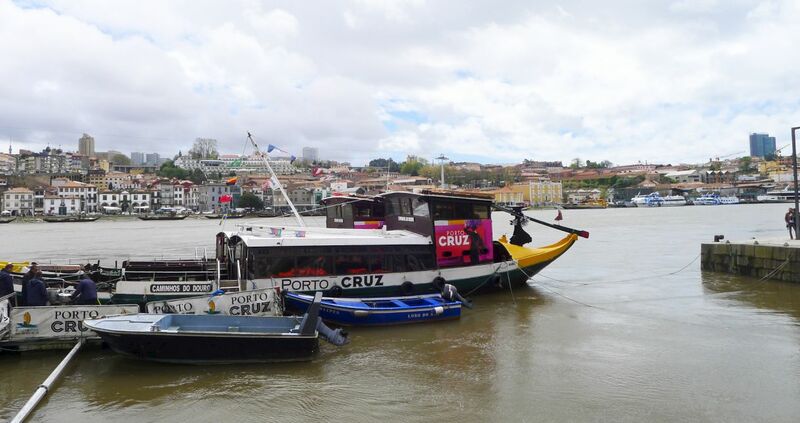 These days Rabelo boats are converted to cruise boats-A cruise on the river lasts about 50 minutes. 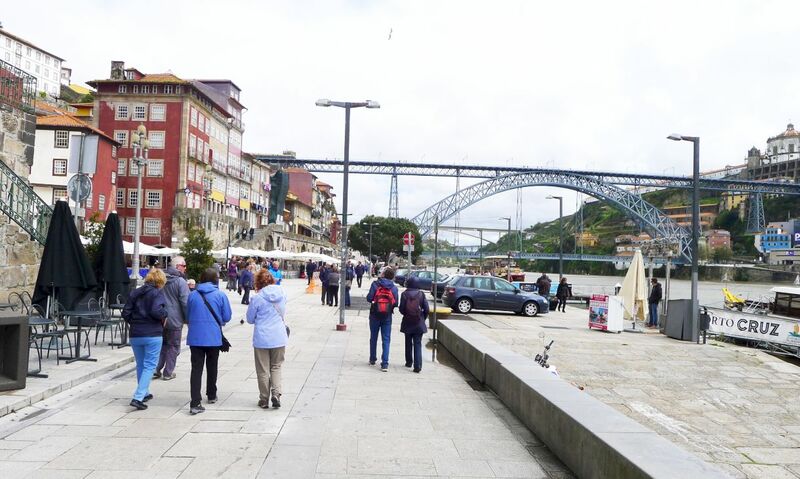 Straight ahead is the double-decker bridge Ponte Dom Luis I which is an icon of the city of Porto. 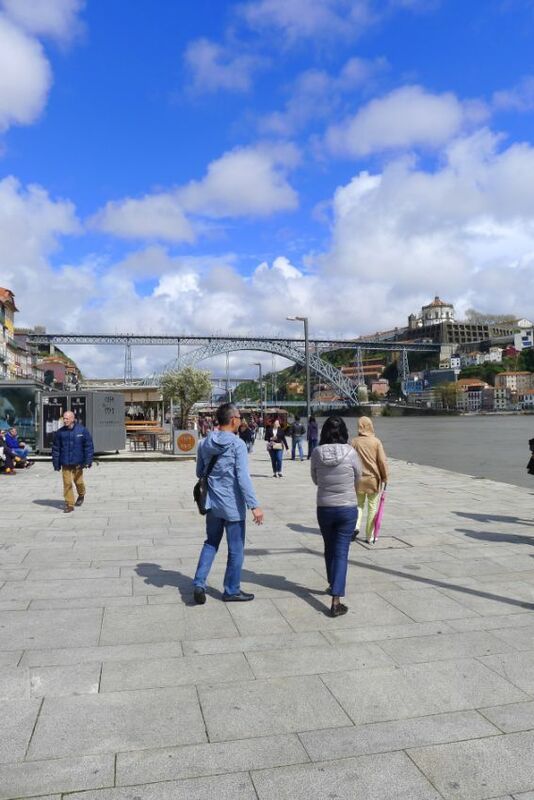 The bridge spans the River Douro linking the Port wine houses of Vila Nova de Gaia with the bustling downtown Ribeira district of Porto. The names of the bridge came from the then king of Portugal, Luís I, and his wife, Maria Pia of Savoy. With a span 564 ft and a height of 146 ft this was a great feat of engineering. Designed by Téophile Seyrig, who was Eiffel's partner on the famous Eiffel tower in Paris. 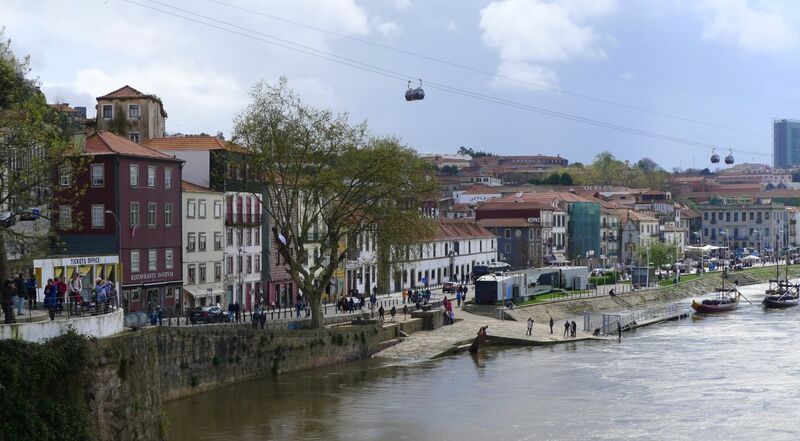 One of the notable features of the Ponte Dom Luís I is it's two levels; one on top of the arch and the other suspended below it. 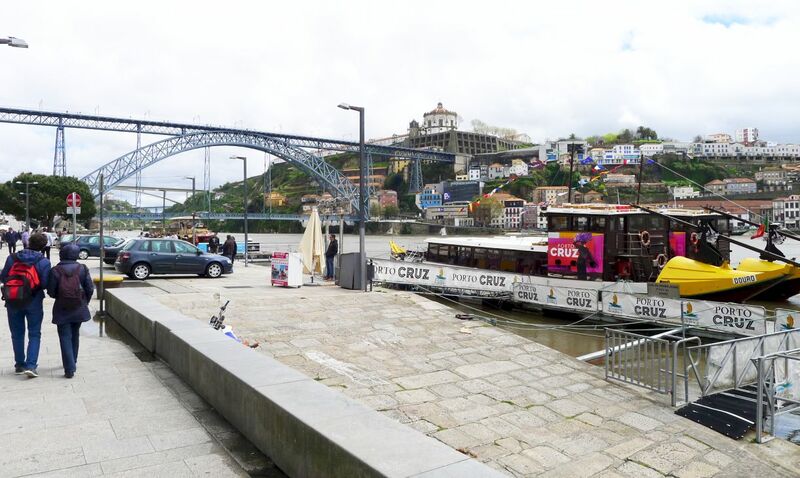 Both decks were initially intended to carry road traffic but these days the top carries the Porto Metro trains as well as having a pedestrian walkway. Construction took place between 1881 and 1886 with the bridge being built adjacent to an existing bridge which it replaced. 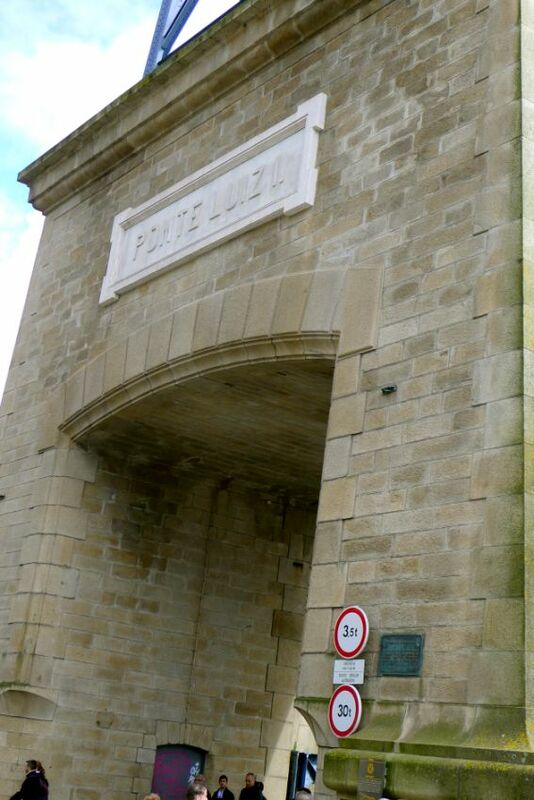 The granite pillars of the original bridge are still in place, standing on the Ribeira like a pair of gate posts. We are now crossing the bridge on the lower level. 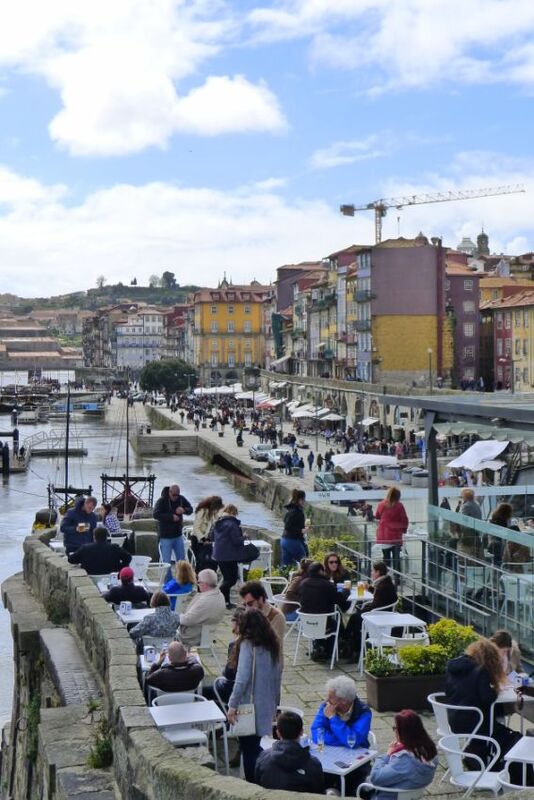 Below us is the Douro river and next to the bridge is an elevated almost at the same level of the bridge where people can sit to eat or drink while watching the Douro River. 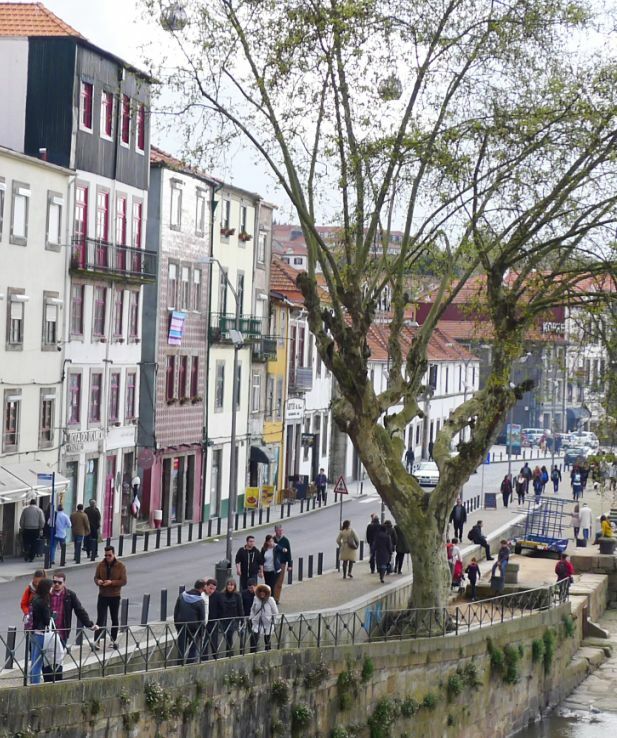 The Ribeira view from the bridge. Across the river is the town of Gaia. 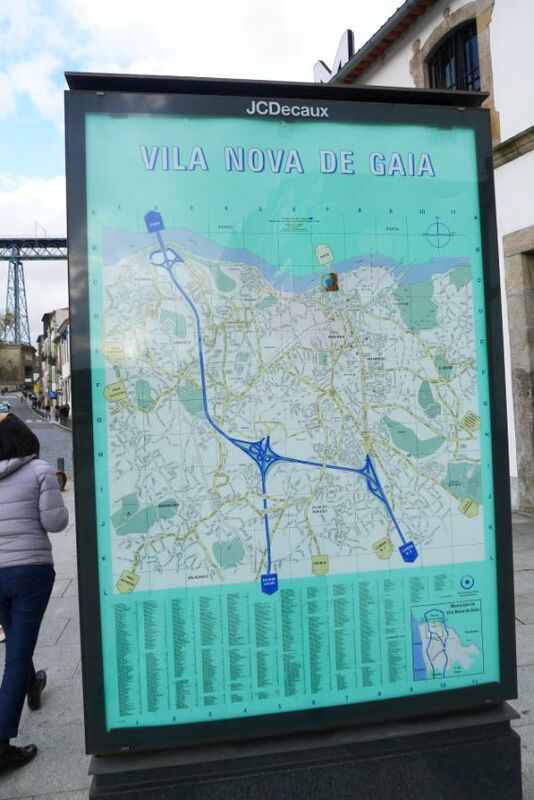 Technically Gaia is a separate town from Porto, even thought it is just across the river and feels like part of the city. 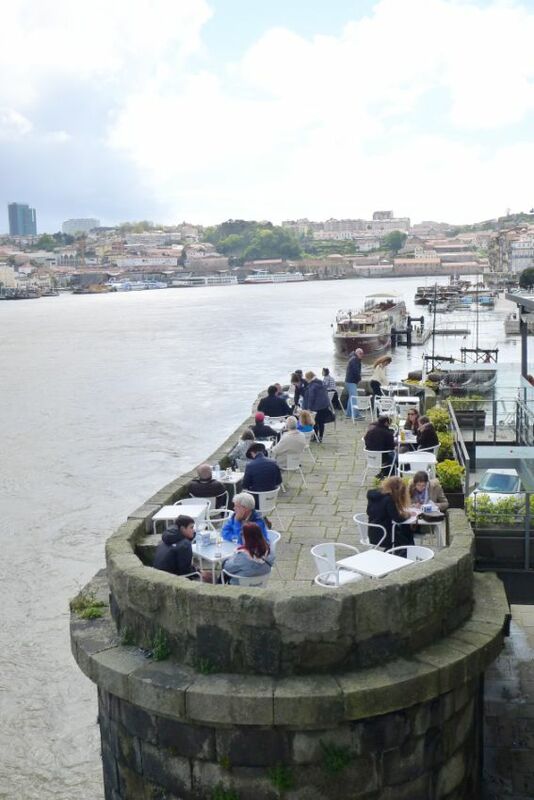 If you are in Porto, make sure to cross the bridge to go to Gaia. It is worth the trip. Lots of local vendors on the streets selling local jewelries, clothes, etc.. 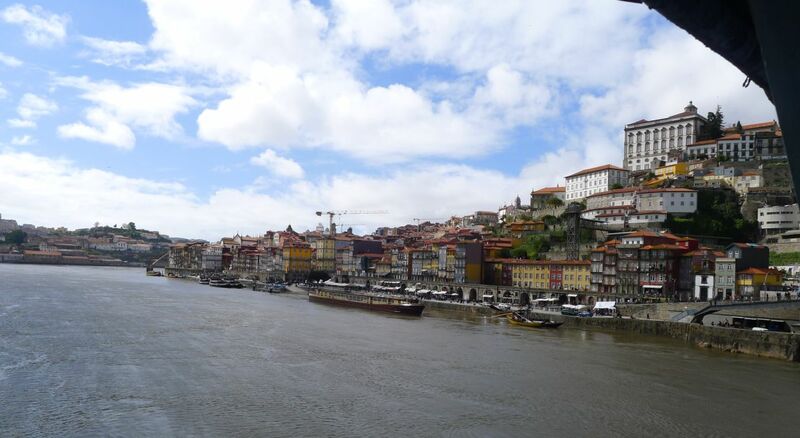 It is a fun walk and the view of the Ribeira is outstanding from Gaia side.